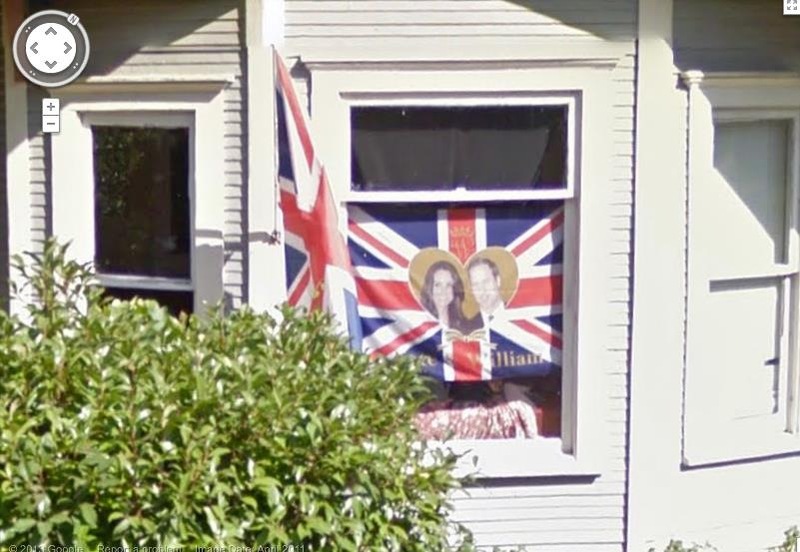 So, not only does Google maps come on the day of the Royal Wedding (seriously? ), but our ghosty man may have showed up for the picture. Do you see the man peering out? You may have to zoom in a bit but I’m not editing this photo in any way. I would’ve never noticed this, but I’m no ghost hunter. At the peak of our haunting, I called Ghost Girls of Austin because our icky spirit man did NOT like women. It was a good decision. This team was intelligent, professional, courteous, and enthusiastic. They came out, got their footage, upon examination of which resulted in the immediate recommendation of a second team: Texas Ghost and Spirit Intervention. I was equally impressed with this second team. Again, knowledgeable and gifted women who frankly came out of their way to help me. A few times. To their infinite credit, they got our icky spirit to LEAVE and it was they who pointed out the man in the picture. I still don’t know when our episode of My Ghost Story will air. You’ll know as soon as I do. And don’t be laughing at my flag, neither. Kate and William would be thrilled to know I toasted their nuptials at 5am with a cold Stella Artois.